Rolling out a brand new model, the 2018 Toyota Camry brings its excellent track record and reputation with a sharp and sporty redesign that will be sure to excite prospective buyers. 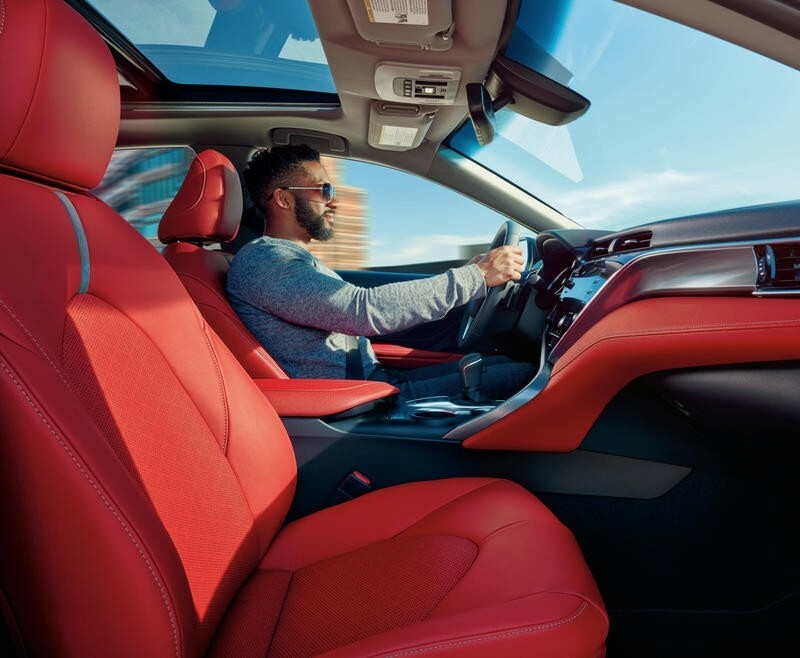 The new Camry comes with an exterior remodel that turns its basic mid-sized sedan look into a sporty aesthetic that will give the Toyota classic another dimension to its already exceptional reputation. Under the hood, the Camry has a revamped engine and eight-speed transmission that improves its overall driving performance. In fact, the mid-sized sedan now gets a lively 203 horsepower compared to the old standard of 178. Meanwhile, the base model’s 24 city MPG and 33 highway MPG jumps to 29 and 41 respectively. With all these improvements made to the new 2018 Camry, the top-line sedan still holds a very favorable MSRP of $23,495. The new innovations Toyota has added to the Camry, paired with its incredible history of reliability will continue to cement it as one of the best options on the mid-sized sedan market. To go with the new look, the Camry has a variety of diverse car packages and features that will cater to any driver’s automotive priorities. With a new focus on car performance, the Camry now has a driving modes ranging from Sport, Eco, and Normal. These allow drivers to customize their driving experience from a handling and power based performance, to a fuel efficient ride, then to a combination of the two. Additionally, there are packages that include a V6 engine for those who get a thrill from driving, and a hybrid trim that offers outstanding fuel economy for the savvy driver. The V6 models improve the standard 203 horsepower to an energetic 301 horsepower; while the hybrid models boost city MPG from 29 to 44-51 and highway MPG from 41 to 46-52. Each of these models includes an improved automatic transmission that adds a smoother and more powerful ride. New driving specs aren’t the only new aspects to the 2018 Camry, several other features makeup the top-line sedan. Looking at the details that constitute the new Camry, a wide range of innovative tech is sure to meet drivers’ expectations. 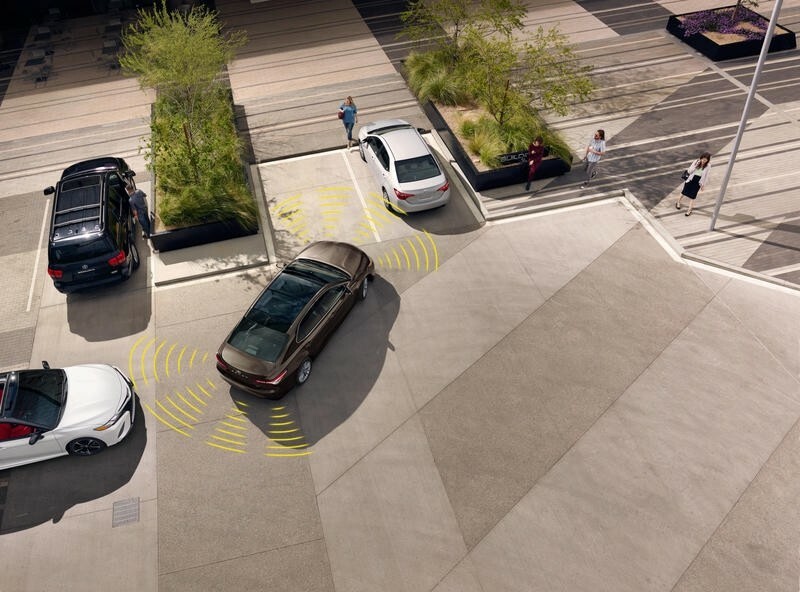 For starters, the standard Toyota Safety Sense package includes a variety of safety features like adaptive cruise control, blind spot monitoring, lane departure warning with steering assist, a rearview camera, and a pre-collision system. It comes with many of the same standard tech as past years like Bluetooth and Siri Eyes Free (hands-free voice command). Toyota has also made certain features from upper trim models the new standard in its 2018 Camry, most notably the Entune infotainment system that equips the sedan with various social apps and a navigation system. 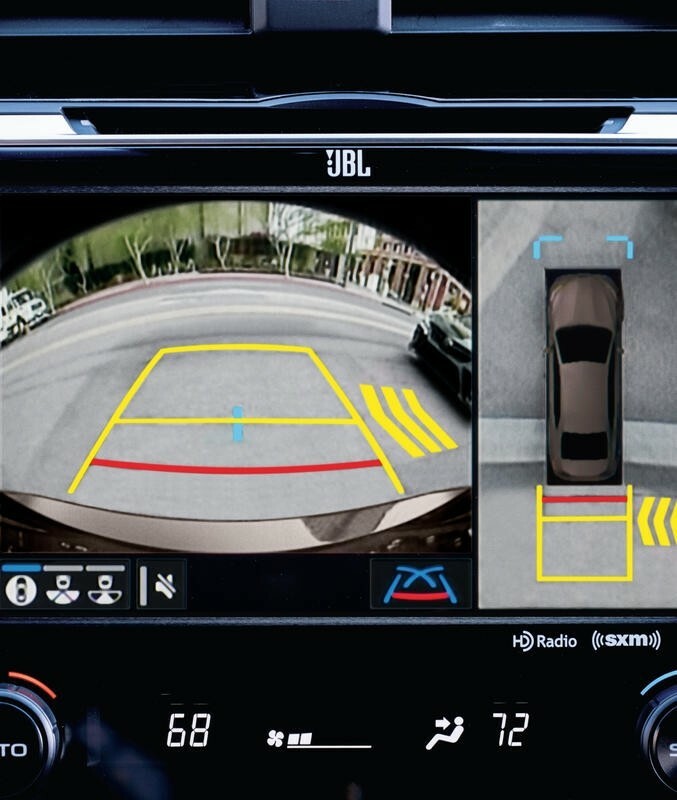 More enticing tech available in upgraded models includes a panoramic sunroof, a 360-degree camera, and Wi-Fi hot spot capabilities. Considering the overhauled look paired with a diverse set of features and driving specs, the new 2018 Camry has already begun to impress perspective buyers and car critics.